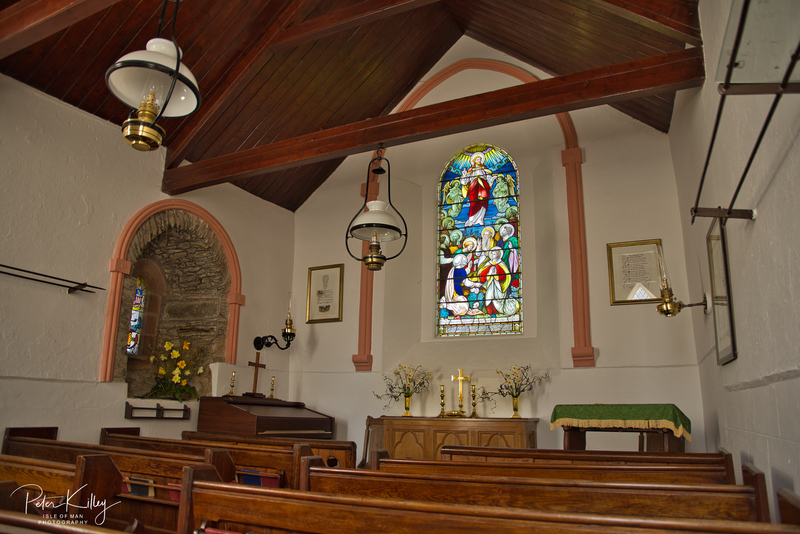 An interior and exterior image of St. Adamnan’s Church. 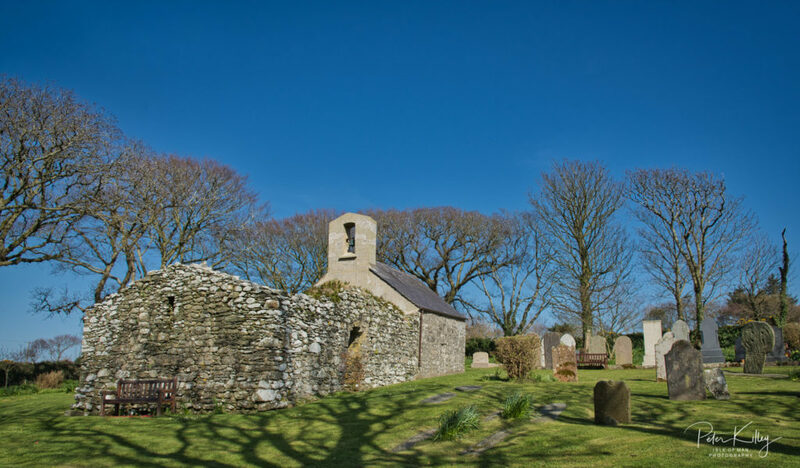 This quaint little church in is one of the Islands oldest churches where the walls date back to possibly the 12th century on a site used since perhaps the first Christian missionaries on the Isle of Man. The site is steeped in Manx History and if you look at the bottom right external image you can make out the Celtic Wheel Head Cross that is almost completely covered in interlacing, knot work and plait work designs. This stone dates from the 9th or even the 10th century.